Get your astronaut on because we are going to space! In todays lesson we are going to look at our place in this Universe. Advancing our knowledge on how we came to be and the elements that make up life on Earth. We are going to discover a super badass species and look at how advancements in technology are advancing our understandings of the Cosmos. Throughout history Astronomers seeking to understand our place in the universe have steadily added to our cosmic address. We have identified other planets, suns, clusters and eventually the vast cosmos as we currently know it, filled with countless galaxies and an infinitude of stars. We believe in expanding our knowledge, opening our minds to listen and understand the world around us, so we can better respect, protect and cherish it. Perhaps in this vast cosmic arena we can find one another. The knowledge that we are all made from stars and connected in more ways than we can understand. This mode of dust suspended in a sunbeam has everything it needs to sustain life. All of us, all humanity, every plant and animal share this same home address. Being the only planet known so far to harbour life, under pins our responsibility to preserve, cherish and celebrate it. Also space is hella cool…. 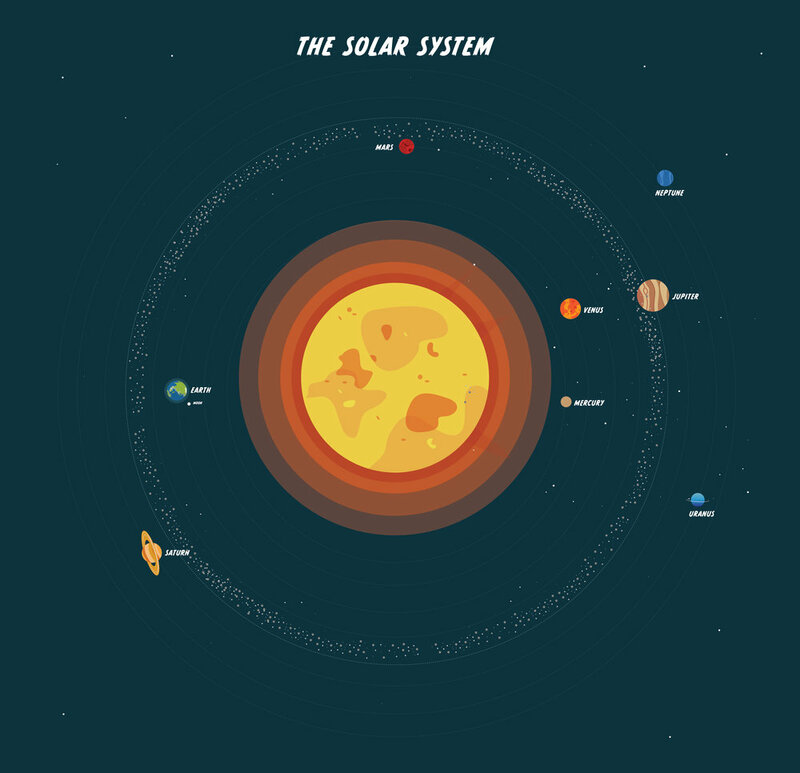 In the Centre of our Solar System is the Sun, revolving around the sun are 8 planets. Mercury, Venus, Earth, Mars, Jupiter, Saturn, Uranus and Neptune. The planets are divided into two categories – Terrestrial and Jovial or the rocky-based planets and the gas based planets. Mercury, Venus, Earth and Mars are all Terrestrial planets, meaning they are mostly made of rocky material, their surfaces are solid and they don’t have rings around them, they have very few moons and they are relatively small. 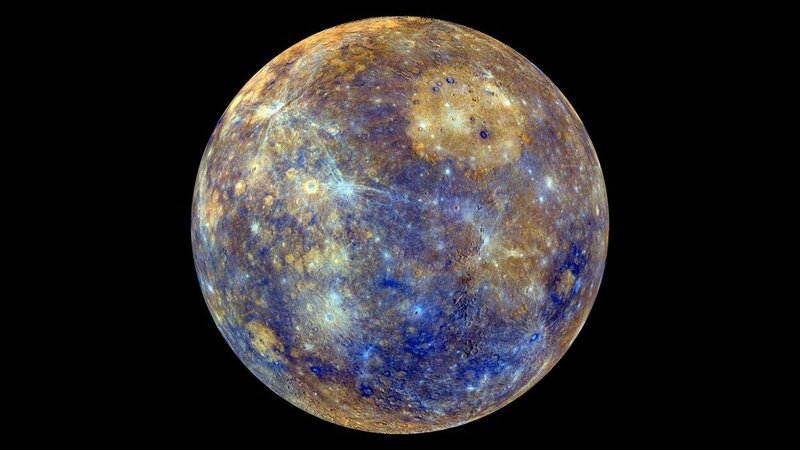 Smallest and closest to the sun is Mercury. Mercury is only slightly larger than Earth's Moon. It takes Mercury 3 months to orbit the sun. It has a solid surface that is covered with craters like our Moon. It has a thin atmosphere, and it doesn’t have any moons. 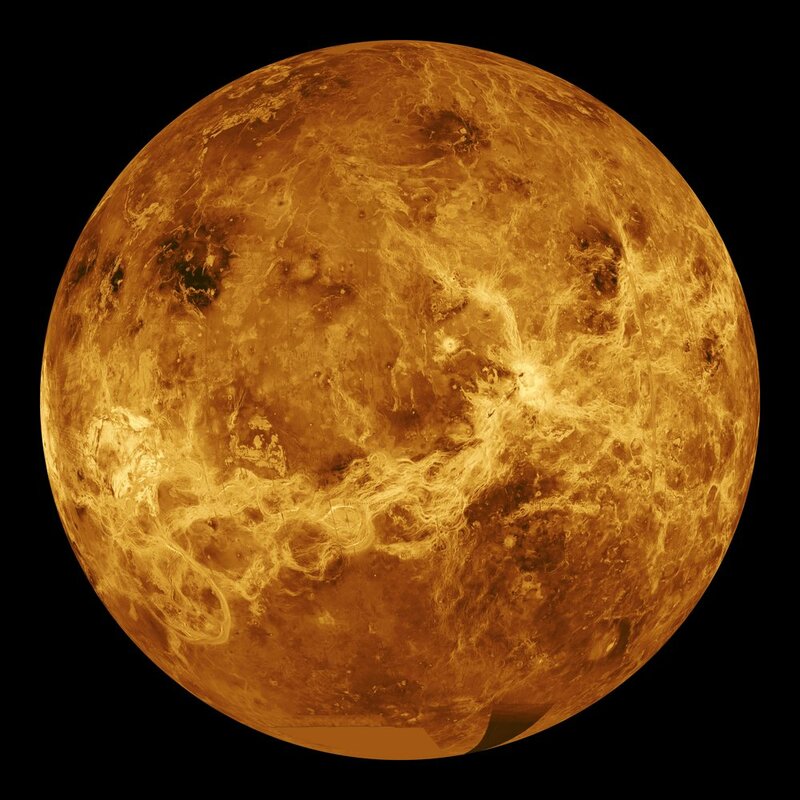 Venus is the hottest planet reaching up to 464 degrees celcius, It has a thick atmosphere full of the greenhouse gas carbon dioxide and clouds made of sulfuric acid. The atmosphere traps heat and keeps Venus toasty warm. It's so hot on Venus, metals like lead would be puddles of melted liquid. Next to this world of fire is a world of water, Earth! Most of the surface of our planet is water; the oceans are what enable Life on this planet. Take a nice deep breath in for me, the air that is filling our lungs comes from the ocean. Around Earth we also have an atmosphere. Our atmosphere naturally contains greenhouse gases, without them the Earth would be way too cold – averaging a rather chilly -18oC instead of the nice and cosy average of 15oC that it is today. This is known as the Greenhouse effect, it’s a natural atmospheric process that helps regulate Earth’s climate and protects us from the suns harmful rays. Next up is Mars, Mars is often referred to as the ‘red planet’. It's red because of rusty iron in the ground. 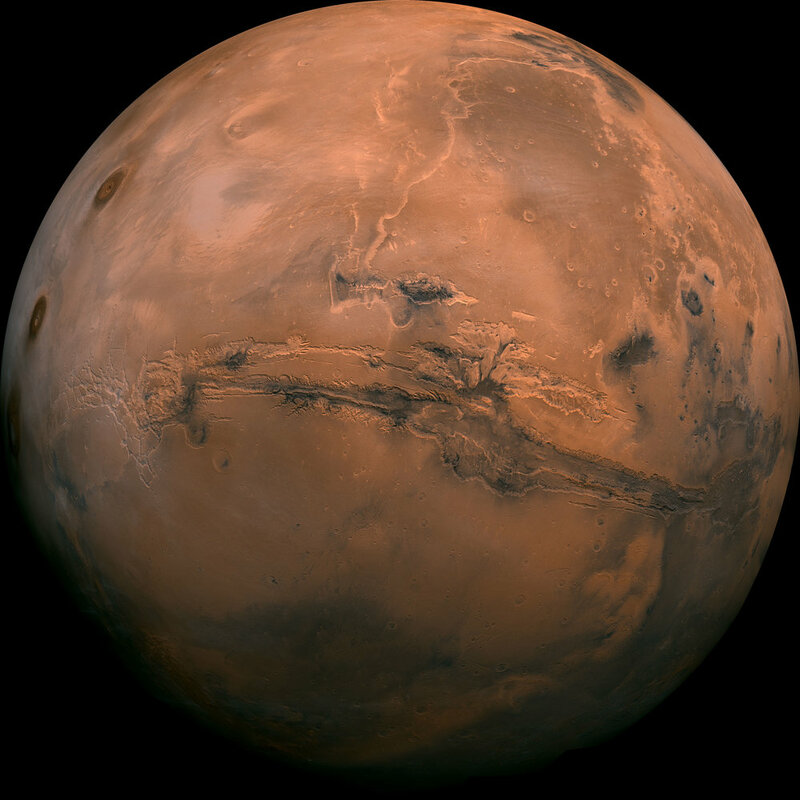 Mars is half the size of Earth. It is thought that this planet might have supported life about 3.7 billion Earths ago when Mars had a watery surface. Mars is also home to the biggest mountain – a volcano that is 21km high!! And that is the last of the Terrestrial or rocky based planets. Now we move onto the Jovial or gas based planets. Jupiter and Saturn are gas giants while Uranus and Neptune are ice giants. All four have multiple moons, no solid surface, support ring systems and are of immense size. Jupiter is also the fourth brightest object in the solar system. Jupiter has 53 named moons and another 26 awaiting official names. Next door is Saturn the solar systems second largest planet. 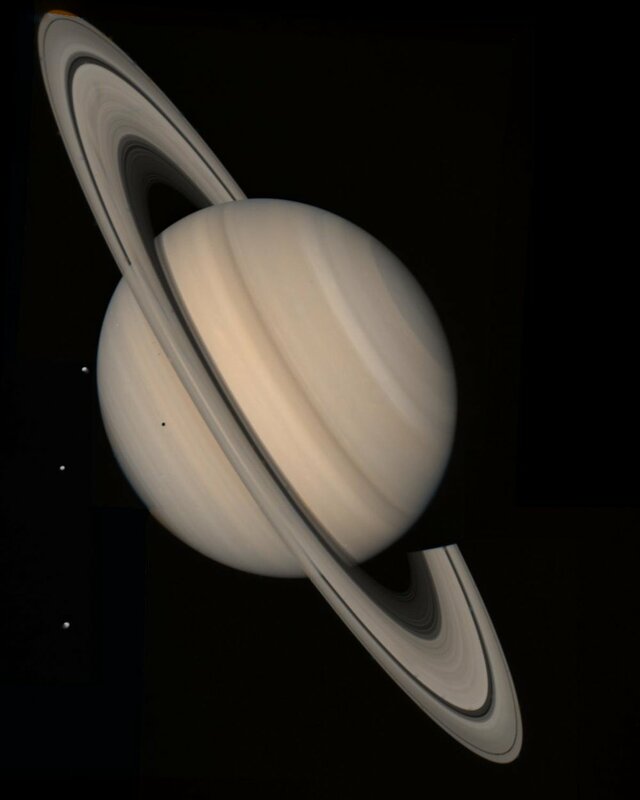 Saturn is best known for its signature ring system. Saturn has 150 moons and smaller moonlets. Past Saturn is the gas giants Uranus and Neptune. 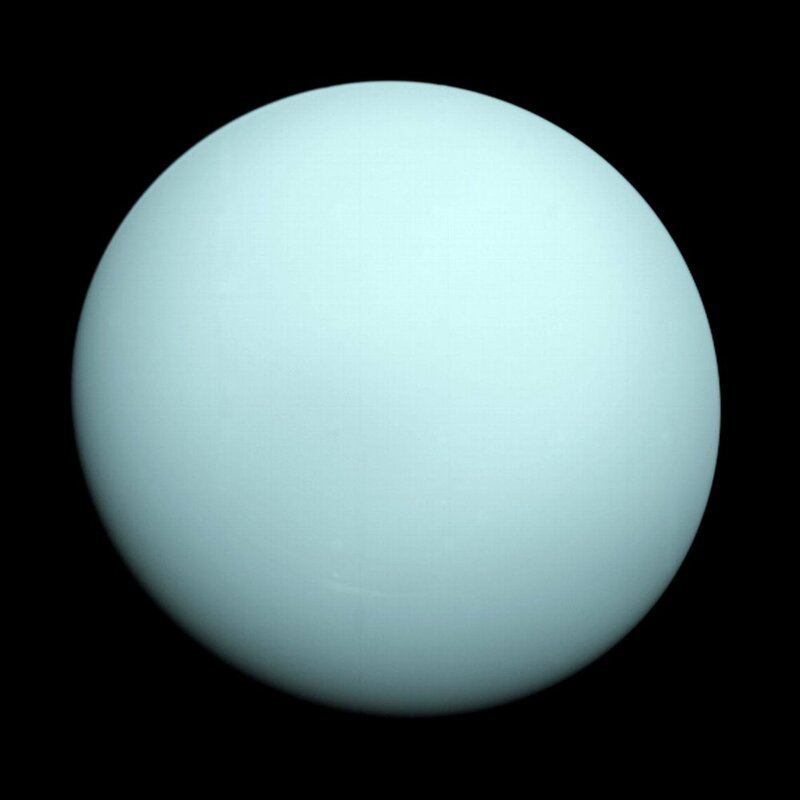 Uranus was the first planet found with the aid of a telescope, discovered in 1781 by astronomer William Herschel. Uranus is famous for rotating on its side. With minimum atmospheric temperature of -224°C Uranus is nearly coldest planet in the solar system. Uranus makes one trip around the Sun every 84 Earth years! 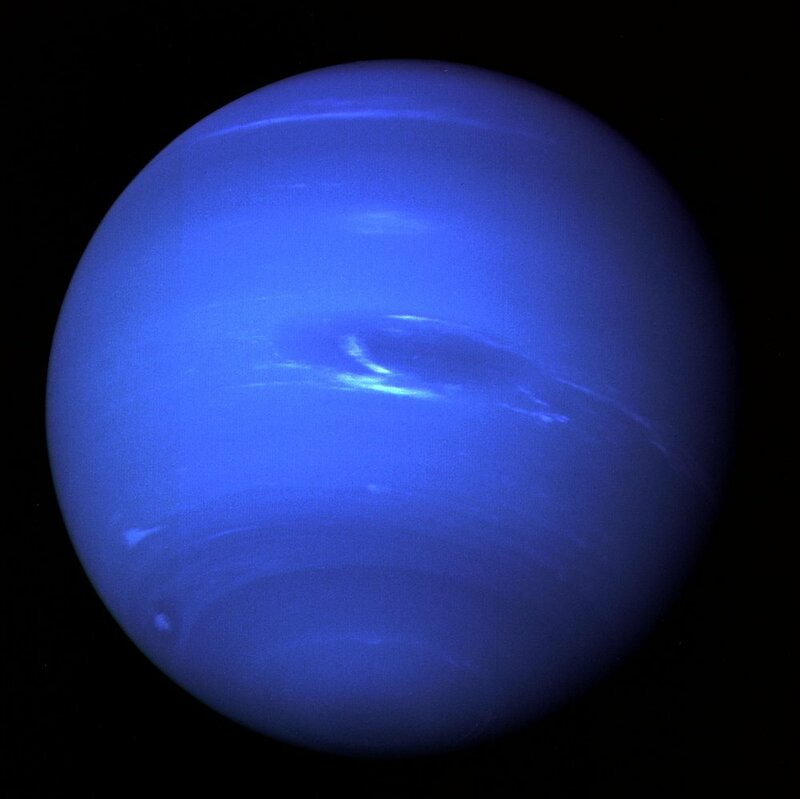 Neptune is the outermost planet of the solar system and one of the coldest. Large storms whirl through its upper atmosphere, and high-speed winds track around the planet at up 600 meters per second. We now know our place in the Cosmos and, to our current knowledge, we are the only planet known to harbour life. So, let’s take a look at the make-up of our planet, how it was formed and why life on Earth is possible. The universe is currently estimated at roughly 13.8 billion years old, give or take 130 million years. In comparison, the solar system is only about 4.6 billion years old. Earth formed around 4.5 billion years ago and has gone through many transitions to be what it is today. 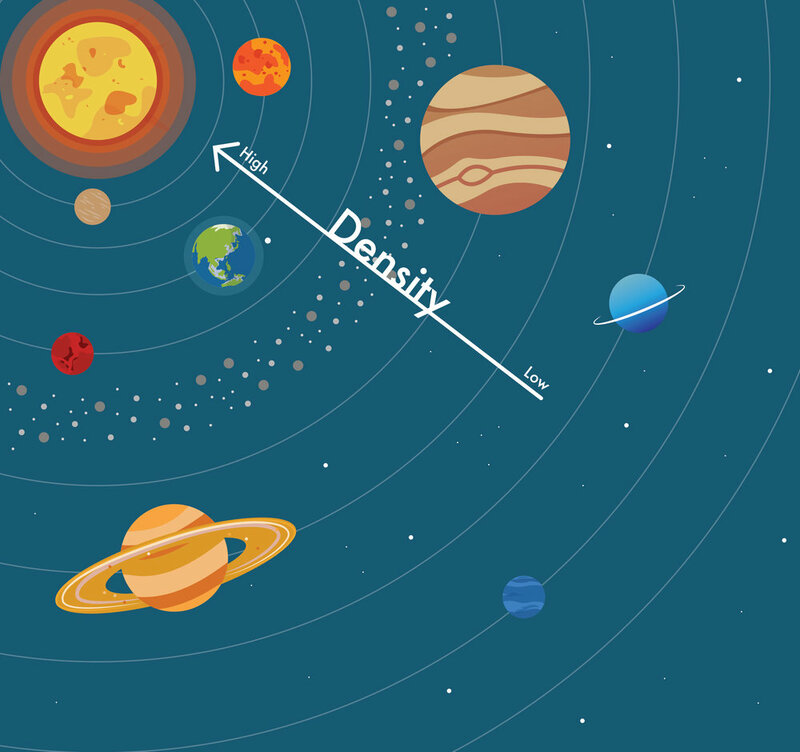 To understand both how Earth formed and the layers that make up this glorious planet we need to understand density. A material's density is defined as its mass per unit volume. All we need to understand for now is that the denser materials will be at the bottom, while the low density materials will float to the top. Grab some Oil, Syrup, Water and Blue food dye and pour them into a container! In a very young universe Helium (He) and Hydrogen (H) were abundant. These two elements condensed to form stars. When these stars died (Supernova) they spit elements like; Carbon (C), Oxygen (O), Nitrogen (N), Nickel (Ni), Gold (Ae) and Iron (Fe) into the universe. Fresh Helium and Hydrogen goes on to form new stars like our sun. While the heavier elements collide creating dust and debris that would go onto to form our solar systems asteroids, moons, planets and everything else. Light and volatile elements like Helium (He) and Hydrogen (H) can only condense further out, which is why the inner planets of our solar system are dense and rocky while the outer planets like Saturn are massive gas giants that could hypothetically float in a massive planet sized swimming pool. In its developing stages Earth got incredibly hot, this caused the denser elements like iron (Fe) and Nickel (Ni) to make their way to the centre of Earth forming the core, while the less dense materials formed around that and so on. Our wonderful sun is constantly hurling radioactive particles towards us. Not only are we a perfect distance from the sun, the molten Iron (Fe) that makes up the Earths core creates a magnetic field. This magnetic field protects Earth by stopping solar wind from blowing away our atmosphere. If we didn’t have this protective barrier Earth would look similar to Mars. Planet Earth is 4.5 billion years old. We, mankind, have called it home for a mere 140,000 years. Let’s put that into perspective. If we condensed the Earth’s life span into 24 hours, we have been here for 3 seconds! Planet Earth is the only planet known so far to harbour life, making us one in a billion trillion trillion, that is 33 zeros. This perfectly positioned tiny speck is currently home to 7.7 billion people and a predicted 8.7 billion (give or take 1.3 million) different species, which by the way, only a total of 1.3 million species have been identified and described! How does this video make you feel? Does it change perspectives? Carbon, Oxygen, Nitrogen and all the fundamentals that make up life come from the processes that created the Universe. The atoms that comprise life on earth, that make up our bodies, animals, plants, all life, have come from the universe. We are as much apart of it as we are in it. We are all connected by stars. Stuff of comics? You would be mistaken! This is a Tardigrade! and yes they are an actual thing! Also known as Moss Piglets or Water Bears. Tardigrades are a water dwelling eight-legged micro animal. At 0.5mm in length these strangely cute animals can be viewed under a low-power microscope. They have been found everywhere: from mountain tops, to deep sea and mud volcanoes, from tropic rainforests to Antarctic. They prefer to live in sediment at the bottom of a lake, on moist pieces of moss or other wet environments. Despite their rather tedious lifestyle, they have evolved to cope with environments so extreme, they don't even exist on Earth. These badass plumpy creatures can survive extreme conditions, conditions that would be defined as fatal to most of other life forms, like extreme temperatures, extreme pressures, dehydration, radiation and starvation. In-fact vaccum of space, throw in some solar radiation…yep they are still alive. There are 900 known species of Tardigrades, so should we rename Earth - planet of the Tardigrades? Remember in lesson two we discussed how we live in an amazing time for realising human potential? Let us take a look at some of the awesome discoveries we are making. On November 26, 2018, InSight, (Interior Exploration using Seismic Investigations, Geodesy and Heat Transport) successfully landed on the surface of Mars after a six-month journey through space. InSight s a NASA Discovery Program mission that will place a single geophysical lander on Mars to study its deep interior. Insight is also a terrestrial planet explorer that will address one of the most fundamental issues of planetary and solar system science - understanding the processes that shaped the rocky planets of the inner solar system (including Earth) more than four billion years ago. At about 10:28 p.m. EST on November 5th, Parker Solar Probe will achieve its first perihelion (its first close approach to the Sun) and will come within 15 million miles of the Sun's surface. During perihelion, the spacecraft will reach a top speed of 213,200 miles per hour relative to the Sun. This speed and distance will mark new records for both closest solar approach and top heliocentric speed by a spacecraft. Did you know we know more about space than we do our own ocean? Do these advancements in technology make feel confident about the future direction of this planet? Do you think we should be looking to outer space for answers? Carl Sagan, Neil Degrasse Tyson, William Herschel, Galileo, Edwin Hubble, Elon Musk, Rosalin Franklin, Rachel Carson, Aristotle.